Delivering the same all-inclusive luxury experience synonymous with the new fleet of Scenic Space-Ships, guests on Gem will enjoy private butler service, a wealth of dining venue options, private balconies with Scenic Sun Lounge, and our usual wide choice of complimentary drinks whenever and wherever you are onboard. SEE BELOW FOR A LIST OF THE AVAILABLE SUITE OPTIONS. 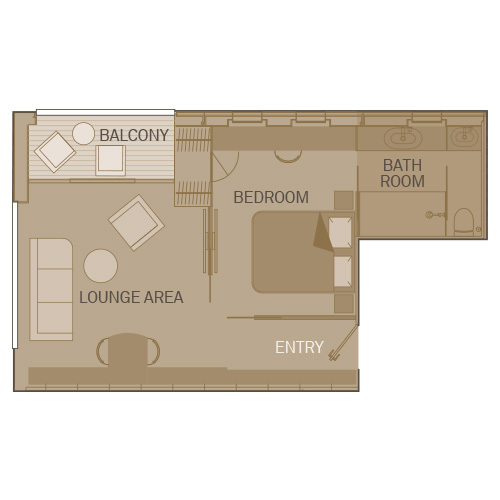 * The deckplan and cabin layout are an indication only and may vary. Bed configurations will be different in some cabin categories. 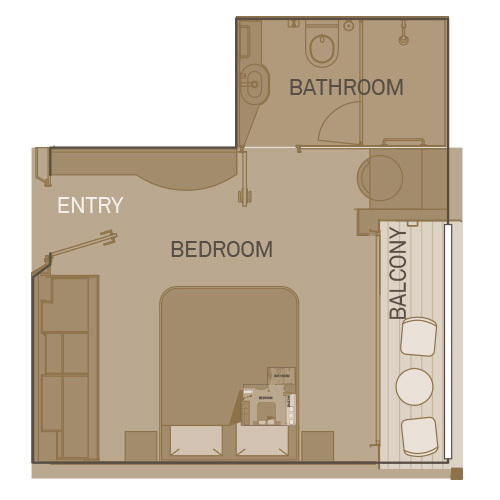 Cabin 301 has modified bathroom with no bath and features personal assistance fittings. It also features a partially obstructed view from the Balcony. The Sun Lounge design of this cabin is modified due to the ship structure. The balcony size is not impacted however the ship structure replaces a section the glass.